If you are looking for a pediatric dentist in Dracut, good news: nearby in Lowell, MA, you’ll find a local favorite, Kangaroo Smiles Pediatric Dentistry. You may not know about Dr. Mona Beylin and her expert Kangaroo Krew, so we’re here to reveal several benefits of choosing a pediatric dentist Dracut families trust. Looking for a Pediatric Dentist In Dracut? We Can Point You in the Right Direction! The precise direction we can point you to is a couple miles south of Dracut. Tucked conveniently in Lowell, MA, Kangaroo Smiles Pediatric Dentistry is the dental home for many local families. Dr. Mona’s extensive educational background and experience enables her to offer families a number of comprehensive pediatric dental services. 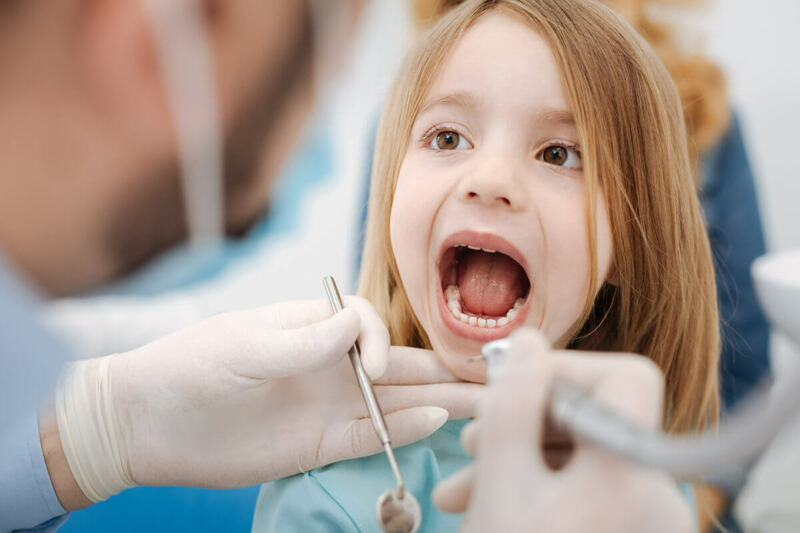 From routine checkups and cleanings to baby tooth root canals, and much more—pretty much any pediatric procedure can be performed under one roof! In addition to comprehensive dental services, Dr. Mona also provides orthodontic solutions, emergency dental care, and special needs dental options. At both our Lowell and Methuen Kangaroo Smiles locations, we’re dedicated to upholding the highest standards of cleanliness, safety, and comfort. Dr. Mona remains continuously informed and trained on the latest technology and approaches in pediatric dentistry. For example, our dental offices utilize digital x-rays and intraoral cameras to ensure precise diagnosis and accuracy. Dr. Mona and the Kangaroo Krew are accustomed to working with babies, toddlers, tweens, and teens. Our patients love that their families have a dental home in which they can grow! Kangaroo Smiles is connected to surrounding community events and has a presence on social media—we love being connected to our families! Kangaroo Smiles truly embraces the fun and excitement of childhood. Our offices provide a child and family-friendly environment.